Assault Attorney with over 25 years of experience in Assault, Domestic Violence and Criminal Defense cases. In the event, you’re charged with Assault, or charged with any crime in King County, it can be a scary experience that might result in serious consequences that negatively impact you both personally and professionally. Attorney Phil Weinberg is a King County Assault Attorney with over 30 years’ experience. He consistently obtains excellent results for his clients in and around King County, Washington. If you need effective legal representation for your Assault charge, call Phil at (206) 624-1662. Besides King County Assault cases Attorney Phil Weinberg works in a wide range of criminal defense areas. Hiring an accomplished lawyer to represent you is the first and most important step you must take if you’ve been charged with a crime in King County. 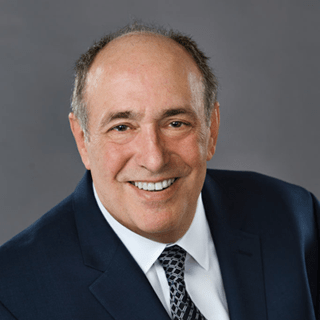 Attorney Phil Weinberg will provide you with the personalized service and experienced legal representation you deserve. In fact, for over 30 years, Phil an experienced King County Attorney has been defending those accused of Assault, Domestic Violence / DV, Drunk Driving / DUI, and Drug- and Theft-Related Crimes in and around the King County area. Don’t wait, don’t delay – call (206) 624-1662 today. Having an experienced, tactful but relentless defense attorney on your side as soon as possible can make a substantial difference in the outcome of your case. If you’re looking for experienced and effective legal representation for an Assault or other criminal charges call (206) 624-1662 to schedule your free personalized case evaluation and defense overview. Of course, Attorney Phil Weinberg will be available to answer questions or meet in-person as he builds a defense plan tailored to your unique situation. There are three courts in Seattle: Seattle Municipal Court, King County District Court – West Division, Seattle Courthouse and King County Superior court. The King County Jail system currently serves all three of these courts and has locations in downtown Seattle and in Kent, at the King County Regional Justice Center. The Seattle Municipal Court handles misdemeanors, gross misdemeanors, infractions and civil violations. It enforces the Seattle Municipal Code (SMC), which is mostly similar (or in some provisions, identical) to the Revised Code of Washington (RCW). If you’re arrested by a Seattle Police officer for Drunk Driving / DUI, it is likely your case will be heard at Seattle Municipal Court. This court is located at 600 5th Ave Seattle, WA 98104. Seattle Police use various city precinct stations to breath test Drunk Driving / DUI suspects – or take them on telephonic search warrants to Harborview Medical Center in the case of blood testing. After being booked into the King County Jail, those accused will appear before a judge on the next court day. Arrestees booked on a Friday night, over the weekend or the day before or the day of a legal holiday must wait until the court reopens to appear before the court. The King County District Court West Division – Seattle Courthouse (aka “Seattle District Court”) has jurisdiction over State and King County cases. In fact, it also includes Seattle DUI arrests. Arrests made by a King County Sheriff or Washington State Trooper that result in misdemeanor or gross misdemeanor charges are handled by Seattle District Court. This court is located at 516 Third Avenue, Seattle, WA 98104. Finally, King County Superior Court primarily handles felony criminal offenses (as well as a multitude of non-criminal civil and family law cases,; including Seattle Felony Drunk Driving / DUI charges. King County Superior Court is located at 516 Third Avenue Seattle, WA 98104, in the same building as the Seattle District Court. The first hearing is the arraignment, although some felonies have a first appearance that does not include arraignment if the State does not file its complaint within 72 hours after the arrest. The plea the accused enters at their arraignment should always be “Not Guilty” regardless of the facts and circumstances of your case. It means you are denying legal guilt, whether or not there is factual guilt, and unless you plead “Not Guilty” you’ll waive most if not all of your constitutional rights, criminal defense options and defenses. The court will also set conditions of release at this arraignment hearing. Prosecutors often ask the judge to impose strict conditions such as setting a bail or entering a No-Contact Order (“NCO”), just as examples. An experienced King County / Seattle Assault defense attorney can usually effectively resist or at least greatly minimize these conditions, especially on first-time offenses. These defense techniques are generally not taught in law school, but can only be learned firsthand in the courtroom, through experience practicing law. It takes years of experience to understand how to effectively maneuver on the client’s behalf in this complicated and ever-changing legal system. Next, there are Pretrial Conferences, also called Pretrial Hearings (aka “PTR”). Most cases have several PTR’s before they are eventually resolved by negotiation and then a plea deal or are set for trial. They generally occur 4-6 weeks apart. After a few of them, the court will often pressure the defense to conclude the case with a plea deal or go to trial. If a good and fair offer is presented by the prosecutor, the case can be disposed of by a plea deal (plea bargain) at a PTR. During this process, your defense attorney will be investigating your case and obtaining police reports, medical records, audio/video evidence from surveillance footage, officers’ body-cams, on-board patrol vehicle ‘dash cams’, premises surveillance video, interviews from witnesses, victims, experts and law enforcement officers (“LEO’s”) as well as any other evidence related to your case. The government does not always voluntarily provide all of the necessary evidence or all that we are entitled to receive, often requiring the attorney to file a motion to compel discovery. There are numerous pretrial motions that can have a significant impact on your defense – or even result in the dismissal of your case. A few common ones include motions to challenge probable cause (PC) for the arrest, whether statements made by the police, witnesses, alleged victim or the defendant are admissible, motions to compel or limit discovery and motions based upon violations of your Sixth Amendment Right to Counsel. Pretrial motions require extensive legal briefing and strategic planning to be successful. This includes preparing our witnesses including any expert witnesses. Many cases also require private investigation to expose the weaknesses of the government’s case. King County Assault Attorney with over 25 years of experience. When you need help with an Assault, Domestic Violence or other Criminal Charges in the King County area Call Phillip L. Weinberg Attorney at Law. Call Today! (425) 455-4784 – Free Consultation!